Five people have been charged in connection with a fatal stabbing in Ipswich at the end of last year. Officers were called to Turin Street just after 1.50pm on Sunday 16 December to reports that a man had been stabbed. Daniel Saunders, aged 32 and originally from Surrey, died at the scene of the incident. A Home Office post-mortem examination concluded that the cause of death was as a result of a single stab wound to the abdomen. A 17-year-old boy from Bury St Edmunds – who cannot be named for legal reasons - has been charged with murder in connection with the attack and appeared before Ipswich Crown Court on Friday 11 January, where he was remanded in custody pending a next hearing on Friday 12 April. Five people appeared at Ipswich Magistrates’ Court today, Monday 8 April, where they were all formally charged with assisting an offender. All five were bailed to appear at Ipswich Crown Court on Friday 12 April 2019. Five people have been served with summons to appear at court in connection with a fatal stabbing in Ipswich at the end of last year. Five people have been summonsed to appear at Ipswich Magistrates’ Court on Monday 8 April, where they will all be charged with assisting an offender. Anyone with information about this incident is asked to contact the Major Investigation Team either by using the online portal: https://mipp.police.uk/operation/363718M87-PO1 or by calling 101 and quoting reference 72682/18. Police investigating a fatal stabbing in Ipswich at the end of last year have re-arrested two more people in connection with the incident. They were taken to Martlesham Police Investigation Centre for questioning and subsequently released under investigation later the same day as enquires continue. Despite an extensive investigation and numerous appeals, officers have not yet been able to trace a woman who stopped at the scene shortly after the attack took place and assisted the victim. She is described as aged in her 30s or 40s, speaking with a local accent and driving a people carrier with a sliding door. She may have valuable information which could assist the inquiry. Police investigating a fatal stabbing in Ipswich at the end of last year have re-arrested three people in connection with the incident. They were taken to Martlesham Police Investigation Centre for questioning and subsequently released under investigation yesterday evening, Thursday 14 March, as enquires continue. Police investigating a fatal stabbing in Ipswich at the end of last year have made another arrest in connection with the incident. On Saturday 23 February, a 44-year-old man from Ipswich was arrested on suspicion of being concerned in supplying a controlled drug. He was taken to Martlesham Police Investigation Centre for questioning and subsequently released under investigation in connection with this inquiry. Detectives are continuing to appeal for anyone who was in the vicinity of Turin Street, Kenyon Street and Wherstead Road on Sunday 16 December, and witnessed any suspicious persons or activity, to make contact. This includes anyone driving through the area who has a dash cam fitted in their vehicle. Officers are also keen to trace a woman who stopped at the scene shortly after the attack took place and assisted the victim. She is described as aged in her 30s or 40s, speaking with a local accent and driving a people carrier with a sliding door. Anyone with information is asked to contact the Major Investigation Team either by using the online portal: https://mipp.police.uk/operation/363718M87-PO1 or by calling 101 and quoting reference 72682/18. A man arrested by police investigating a fatal stabbing in Ipswich last month has been released from custody after being questioned by detectives. On Tuesday 29 January, officers arrested a 33-year-old man from Colchester on suspicion of being concerned in supplying a controlled drug. He was brought back to Martlesham Police Investigation Centre for questioning and released under investigation pending further enquires. 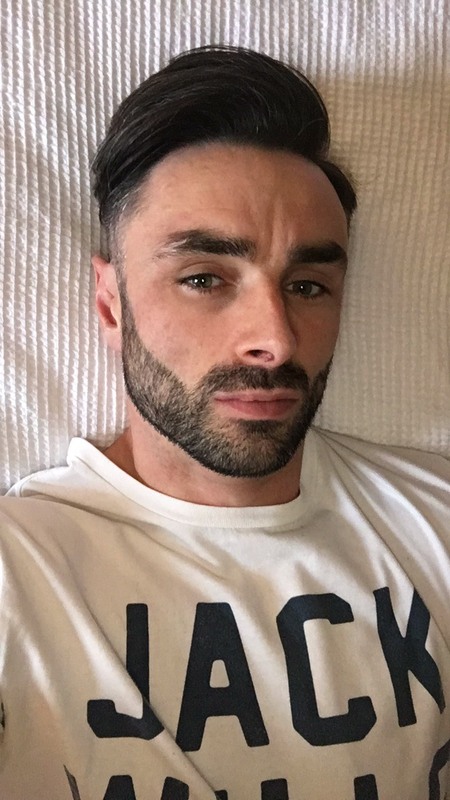 Detectives investigating a fatal stabbing in Ipswich last month have made another arrest in connection with the incident. This morning, Tuesday 29 January, officers arrested a 33-year-old man from Colchester on suspicion of being concerned in supplying a controlled drug. He has been brought back to Martlesham Police Investigation Centre for questioning. An 18-year-old man from Colchester; a 17-year-old boy from the Colchester area; and a 15-year-old boy from Bury St Edmunds; who were all arrested on suspicion of assisting an offender on 20 December, remain under investigation. A 20-year-old man from Colchester, who was arrested on suspicion of assisting an offender last Friday (25 January), also under investigation pending further enquiries. 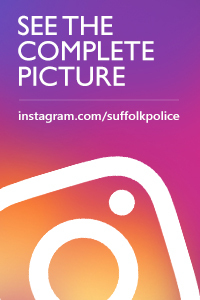 Detectives investigating a fatal stabbing in Ipswich last month have made a further arrest in connection with the incident. Officers were called to Turin Street just after 1.50pm on Sunday 16 December to reports that a man had been stabbed. Daniel Saunders, aged 32 and originally from Surrey, died at the scene of the incident. A Home Office post-mortem examination concluded that the cause of death was as a result of a single stab wound to the abdomen. A 17-year-old boy from Bury St Edmunds – who cannot be named for legal reasons - has been charged with murder in connection with the attack and appeared before Ipswich Crown Court on Friday 11 January, where he was remanded in custody pending a next hearing on Friday 12 April. Today, Friday 25 January, officers arrested a 20-year-old man from Colchester on suspicion of assisting an offender. He was taken into police custody for questioning and has been released under investigation pending further enquiries. Detectives investigating a fatal stabbing in Ipswich last month are renewing an appeal to trace a woman who stopped to assist the victim of the attack. Police are now renewing an appeal to trace a woman who stopped at the scene shortly after the stabbing took place on 16 December and assisted the victim. She is described as aged in her 30s or 40s, speaking with a local accent and driving a people carrier with a sliding door. Detective Chief Inspector Caroline Millar, the Senior Investigating Officer, said: “Our officers have carried-out a huge amount of work in the five weeks or so since Daniel Saunders was tragically killed and we are making every effort to bring those responsible for his death to justice. “We have spoken to numerous witnesses who were in the vicinity of the attack around the time it occurred, and a number of them have described seeing the woman described above in the people carrier. An 18-year-old man from Colchester who was arrested on suspicion of assisting an offender and was due to answer bail on Friday 18 January, has now been released under investigation. A 17-year-old boy from the Colchester area; and a 15-year-old boy from Bury St Edmunds; who were both also arrested on suspicion of assisting an offender remain under investigation. A teenager has appeared at court charged with murder following a fatal stabbing in Ipswich last month. Daniel Saunders (pictured right), aged 32 and originally from Surrey, died at the scene of the incident. A Home Office post-mortem examination concluded that the cause of death was as a result of a single stab wound to the abdomen. A 17-year-old boy from Bury St Edmunds – who cannot be named for legal reasons - was arrested on Wednesday 9 January and taken into police custody for questioning. He was subsequently charged with murder and also possession of a bladed article in a public place (this relates to an offence in Essex on 20 December) and remanded to appear at Ipswich Magistrates’ Court this morning, Friday 11 January. Magistrates committed him to Ipswich Crown Court where he appeared this afternoon and was remanded in custody pending a next hearing on Friday 12 April. Three people - two men, aged 44 and 39, and a woman aged 31 – who were arrested in connection with the incident on Sunday 16 December, answered bail earlier today and will face no further police action. The murder accused had been previously arrested in the Clacton area of Essex on Thursday 20 December and subsequently released on bail after being questioned. Three other teenagers also arrested at the same time remain on bail or under investigation as follows: an 18-year-old man from Colchester arrested on suspicion of assisting an offender was released on police bail until 18 January; a 17-year-old boy from the Colchester area; and a 15-year-old boy from Bury St Edmunds; also arrested on suspicion of assisting an offender, were released under investigation. A teenager has been charged with murder by detectives investigating a fatal stabbing in Ipswich last month. Daniel Saunders (pictured right) aged 32 and originally from Surrey, died at the scene of the incident. A Home Office post-mortem examination concluded that the cause of death was as a result of a single stab wound to the abdomen. A 17-year-old boy from Bury St Edmunds – who cannot be named for legal reasons - was arrested yesterday, Wednesday 9 January, and taken into police custody for questioning. He has now been charged with murder and remanded in custody to appear at Ipswich Magistrates’ Court tomorrow, Friday 11 January. An 18-year-old man from Colchester arrested on suspicion of assisting an offender was released on police bail until 18 January; a 17-year-old boy from the Colchester area; and a 15-year-old boy from Bury St Edmunds; also arrested on suspicion of assisting an offender, were released under investigation. Three people - two men, aged 44 and 39, and a woman aged 31 – who were arrested in connection with the incident on Sunday 16 December, are due to answer police bail tomorrow. A teenager has been re-arrested in connection with a fatal stabbing in Ipswich last month and detectives are also appealing to trace a potentially important witness. A 17-year-old boy from Bury St Edmunds was re-arrested on suspicion of murder late last night, Wednesday 9 January, and was taken into police custody for questioning by detectives. He was previously arrested in the Clacton area of Essex on Thursday 20 December and subsequently released on bail after being questioned. Detectives are also issuing an appeal to trace a woman who stopped at the scene shortly after the attack took place and is described by other witnesses as assisting with delivering first aid to the victim. She is described as aged in her 30s or 40s, speaking with a local accent and driving a people carrier with a sliding door. Officers are very keen for this woman to come forward as she may have information that could assist the inquiry. An 18-year-old man from Colchester arrested on suspicion of assisting an offender was released on police bail until 18 January; a 17-year-old boy from the Colchester area; and a 15-year-old boy from Bury St Edmunds; also arrested on suspicion of assisting an offender were released under investigation. Three people - two men, aged 44 and 39, and a woman aged 31 – who were arrested in connection with the incident on Sunday 16 December, are due to answer police bail tomorrow, Friday 11 January. Detectives investigating a fatal stabbing in Ipswich have today (23 December) released two people on bail pending further enquiries. Four teenagers were arrested in connection with the attack in the Clacton area of Essex on Thursday 20 December and brought back to Suffolk for questioning. A 17-year-old boy from Bury St Edmunds arrested on suspicion of murder, has today been released on police bail, pending further enquires until 17 January 2018. An 18-year-old man from the Colchester area was also released on police bail, pending further enquiries until 18 January. A 17-year-old boy, from the Colchester area, and a 15-year-old boy from Bury St Edmunds have both been released under investigation whilst enquiries continue. Three people - two men, aged 44 and 39, and a woman aged 31 who were arrested in connection with the incident on Sunday 16 December, remain on police bail until Friday 11 January pending further enquires. Anniversary checks were conducted in the Turin Street area this afternoon (23 December), with officers speaking with residents and passers-by as part of the on-going public engagement and reassurance patrols in connection with the incident with 21 people spoken to. Detectives are continuing to appeal for anyone who was in the vicinity of Turin Street, Kenyon Street and Wherstead Road on Sunday afternoon, and witnessed any suspicious persons or activity, to make contact. This includes anyone driving through the area who has a dash cam fitted in their vehicle. Detectives investigating a fatal stabbing in Ipswich have been given more time to question a 17-year-old boy arrested in connection with the incident. Today, Saturday 22 December, officers made an application for a warrant of further detention at Ipswich Magistrates’ Court, where they were granted an additional 36 hours to question a 17-year-old boy from Bury St Edmunds arrested on suspicion of murder, which will expire at 6pm tomorrow, Sunday. An 18-year-old man from the Colchester area remains in police custody. A 17-year-old boy, from the Colchester area, and a 15-year-old boy from Bury St Edmunds have both now been released under investigation whilst enquiries continue. Three people - two men, aged 44 and 39, and a woman aged 31 – who were arrested in connection with the incident on Sunday 16 December, remain on police bail until Friday 11 January pending further enquires. Police investigating a fatal stabbing in Ipswich on Sunday (16 December) have made four further arrests in connection with the incident. The arrests were made in the Clacton area of Essex earlier this afternoon (Thursday 20 December). A 17 year old male was arrested on suspicion of murder, and three males aged 15, 17 and 18 years have all been arrested on suspicion of assisting an offender and being concerned in the supply of controlled drugs. The males have been taken into police custody in Suffolk where they remain for questioning. It is believed that the attack took place in an alleyway behind houses in Turin Street, which is also behind houses fronting on to Wherstead Road. Police investigating a fatal stabbing in Ipswich which occurred at the weekend are now able to confirm the result of the post-mortem. Three people - two men, aged 44 and 39, and a woman aged 31 – were arrested in connection with the incident. They were taken into police custody for questioning and released on police bail until Friday 11 January pending further enquires. The victim of a fatal stabbing in Ipswich at the weekend is being named by police as the investigation into his death continues. Officers were called to Turin Street just after 1.50pm on Sunday 16 December, to reports that a man had been stabbed. He was treated by ambulance personnel but sadly died at the scene. Daniel Saunders, aged 32, and who was originally from Surrey, has now been formally identified as the victim. Three people - two men, aged 44 and 39, and a woman aged 31 - were arrested on suspicion of murder on Sunday 16 December and taken into police custody for questioning. All three have now been released on police bail until Friday 11 January pending further enquires. The Crime Scenes in Turin Street have now been released, a heightened police presence will remain in the area, as officers continue with CCTV and house-to-house enquires. Detective Chief Inspector Caroline Millar, the Senior Investigating Officer, said: “We continue to appeal for anyone with any information about this horrific crime to contact us immediately. “We have undertaken numerous enquiries in the past 48 hours and we are grateful to the local residents in the area of the incident for their patience as our officers go about their work. Detectives investigating a fatal stabbing in Ipswich at the weekend have been granted further time to question three people who were arrested in connection with the attack. Officers were called to Turin Street just after 1.50pm on Sunday 16 December, to reports that a man had been stabbed. Ambulance personnel were also in attendance but the victim, a man aged in his 30s, sadly died at the scene. He has not yet been formally identified and a Home Office post-mortem examination is taking place today, Tuesday 18 December. Following initial police enquiries, it is believed that the victim was attacked in an alleyway behind houses in Turin Street, which is also behind houses fronting on to Wherstead Road. Officers made applications for warrants of further detention at Ipswich Magistrates’ Court yesterday, where they were granted an additional 36 hours to question all three suspects which will expire at 6.45am tomorrow morning, Wednesday 19 December. Crime scenes remain in place in Turin Street and in the alleyway behind and there is a heightened police presence in the area, as officers conduct searches and carry-out forensic work, along with CCTV and house-to-house enquires. Additional police officers will also be on patrol in the area to provide reassurance to the local community and be on hand to speak with members of the public. Three people have been arrested by police investigating a fatal stabbing in Ipswich at the weekend. Officers were called to Turin Street just after 1.50pm yesterday, Sunday 16 December, to reports that a man had been stabbed. Ambulance personnel were also in attendance but the victim, a man aged in his 30s, sadly died at the scene. He has not yet been formally identified and a Home Office post-mortem examination is due to take place tomorrow. Following initial police enquiries, it is believed that the victim was attacked in an alleyway behind houses in Turin Street, which is also behind houses fronting on to Wherstead Road. Police scenes remain in place in Turin Street and in the alleyway. Three people - two men, aged 44 and 39, and a woman aged 31 - were arrested on suspicion of murder yesterday and taken into police custody where they remain for questioning. Superintendent Kerry Cutler, Policing Commander for Ipswich, said: "Our immediate thoughts are with the family and friends of the victim following his tragic death. "Although at the current time we do not believe this to have been a random attack, I understand that people living in the vicinity of the incident may be concerned and we will have additional officers patrolling the area over the coming days to provide reassurance. "Knife crime is a societal issue which is unfortunately affecting the majority of towns and cities across the country and, working alongside our partner agencies, we are doing everything we can to tackle it. Detectives are appealing for anyone who was in the vicinity of Turin Street, Kenyon Street and Wherstead Road yesterday afternoon, and witnessed any suspicious persons or activity, to make contact. This includes anyone driving through the area who has a dash cam fitted in their vehicle. Anyone with information is asked to contact the Major Investigation Team on 101 quoting reference 72682/18. Police have launched a murder inquiry following the death of a man in Ipswich today, Sunday 16 December. Police were called just after 1.50pm to reports that a man had been stabbed in Turin Street. Police, paramedics and the air ambulance were in attendance. Sadly the man died at the scene. There is a police scene at the location and a road closure will be in place in Turin Street and potentially surrounding roads. Any witnesses to the incident, anyone with information, or persons who were in the area with Dash Cameras are asked to contact South CID at Landmark House on 101 quoting reference CAD 189 of 16 December. Alternatively contact the charity Crimestoppers anonymously on 0800 555 111 or through their anonymous online form at www.crimestoppers-uk.org.